GOVERNMENT RATE PROGRAM - Government rates are reserved for federal or provincial employees. Military personnel, their dependents & members of several gov't/military associations are extended the rate for official & leisure travel. Government ID will be required at check in. Rate is subject to availability. CAA/AAA RATE PROGRAM - There must be a member in the room to receive the discount. Guest must show AAA/CAA card at check-in. Rate is subject to availability. SENIOR RATE PROGRAM - Senior Rate - There must be a guest age 60 or older in the room to receive this discount. All cancellations must be made prior to 6:00pm local hotel time (CST) to avoid a penalty of one night’s room and tax. Any guaranteed reservation that is a non-arrival by a guest will be released at 7AM the following morning and is subject to one night’s room and tax. Policies may vary for special offers and prepaid reservations. Please review the policies associated with your booking. Reservation must be made at least 7 days in advance. Choice Privileges® membership is required. The rate is non-cancellable, non-changeable and non-refundable. Your credit card will be charged for the total reservation amount within 24-48 hours of booking. This rate has a seven (7) night maximum length of stay. Rooms at this discount are limited. Offer is not available to groups and cannot be combined with any other discount. A valid credit card is required with all check ins. Credit card will be pre-authorized at check in to cover full room & tax charges plus the $250 security deposit. A check out, the pre authorization is then cancelled and guest can pay the balance due with credit card, debit card or cash. Check-In time is 4:00pm. Check-Out time is 11:00am. Early Check-In is by request only and not guaranteed. Late Check-Out must be coordinated with the hotel; a fee may apply and is based on availability. Guests must be at least 18 years old to check in and will be required to provide I.D. Guest will be asked for a valid credit card upon check in. 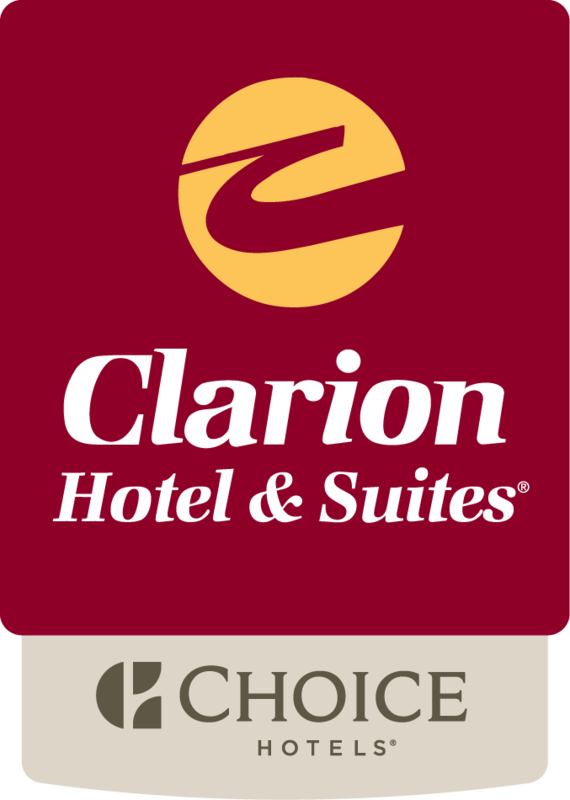 The Clarion Hotel & Suites is a 100% SMOKE FREE ENVIRONMENT. The hotel levies a $250 per stay for any guest smoking in the hotel or in a guestroom.